Our strongest hemp extract tincture packed with 1000MG of premium, full-spectrum hemp oil made from the highest quality active hemp extract, benefit-packed terpenes, and rich MCT Oil. Our premium hemp-oil provide is fast-acting and can be used to be used to relieve pain, anxiety, stress, and so much more!! 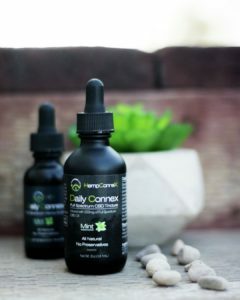 Daily Connex Extra Strength comes with 1000 mg of Active Hemp Extract per bottle and is a 60 ml bottle. This puts one dropper full (roughly 1 ml) around 15-17 mg per dropper. Full-spectrum Hemp oil extract blend containing 250 mg of Active Hemp Extract* and is perfect for providing you with pure and natural health benefits. This high-quality hemp extract is a “whole plant” extract, meaning the entire plant is used during the production process. Using the entire plant means harnessing the benefits of the naturally occurring compounds found in the hemp plant. 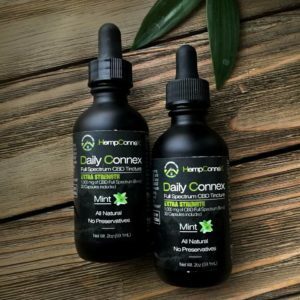 Daily Connex Regular Strength comes with 250-500 mg of Active “Hemp Extract” per bottle and is a 30 ml bottle. This puts one dropper full around 4-8 mg of Hemp Extract per dropper. 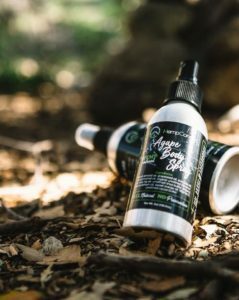 Treat your skin with the invigorating support of HempConnex Agape Body Spray. This body spray is all-natural, contains no preservatives, and is great as both a general moisturizer and a topical skincare solution. From the invigorating and moisturizing properties of shea butter to the protective abilities of avocado oil, this blend is sure to offer your skin an all-encompassing range of support. HempConnex only uses the best all-natural ingredients. This is benifitical for spot treatment pain. This is beneficial break through pain. Vape cartridge comes pre-filled with 1 ml of our custom formulated vape mix. Our new prefilled cartridges are designed to work with any universal 510 battery thread. Easiest way to get your daily dosage of our premium hemp oil. 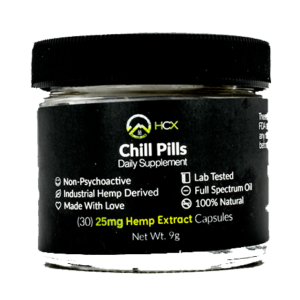 If you’re experiencing any pain, stress, or anxiety, or aren’t a fan of hemp oil’s natural flavor, then maybe you just need to take a Chill Pill! Additionally, the inclusion of MCT oil and Hemp Seed Oil, assists with better overall absorption in the body. 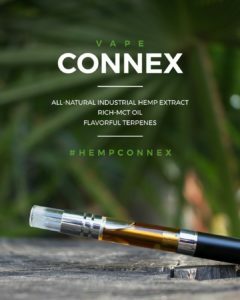 Finally, HempConnex Daily Connex contains no artificial sweeteners, sugar, or other additives. 30 pills per bottle. 25 mg of full-spectrum Active Hemp Extract per capsule. After countless hours spent on research and development, HempConnex brings you one of the finest hemp isolate products on the market. 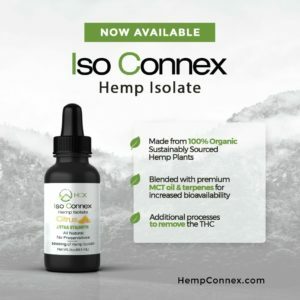 Introducing… Iso Connex, the premium Hemp Isolate Tincture. Designed to deliver the purest, high-quality experience, Iso Connex blends THC-free hemp isolate with benefit-rich ingredients such as organic MCT-oil, terpenes, and therapeutic-grade essential oils. Broad Spectrum – No THC. Can test with it.